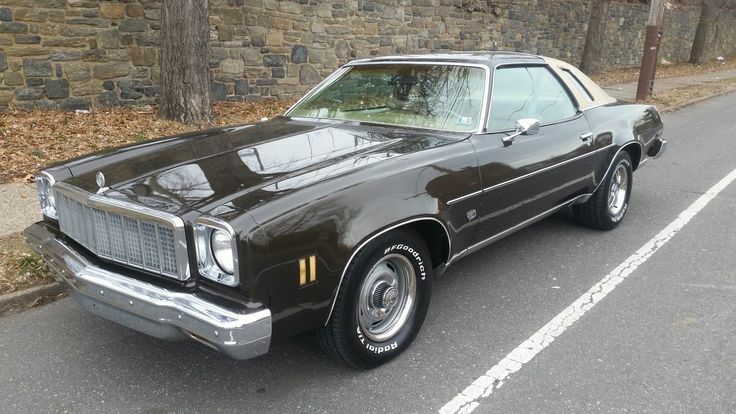 75 Malibu Classic $5800 "Buy it now"
Re: 75 Malibu Classic $5800 "Buy it now"
She looks just about perfect, that dash has a couple nasty cracks in it and the rear bumper need some help but looks really nice. Are the seat belts correct? My '77 with the bench had black belts and buckles front and back. This has beige belts and black buckles up front, and all black in the back. I just want to figure out what's correct for what I'm doing now. Someone has replaced that vinyl top and the trim around sides and rear windows is not right. May be hiding a bit of rust under that vinyl top. Dino...I think this car has black front seat straps as well. Looks to me like the shoulder straps are badly faded (see this all the time) and they look tan in the pic. There are no colored buckles other than black or brushed stainless on our cars regardless of strap color. In other words, beige belts didn't come with beige plastic buckles.